The $500,000 marketing campaign rolls out on Thursday, the Baltimore Sun reported. As part of the unveiling, the city’s tourism agency, Visit Baltimore, will attempt to set a Guinness World Record. They will arrange 250 people wearing black and orange ponchos into the world’s largest human smiley face outside the Maryland Science Center. If they are successful in setting the record, Visit Baltimore will release 19 dozen butterflies into the air. The "Find Your Happy Place" concept stemmed from extensive research that shows people are looking to do things that make them happy after the long economic downturn, said Visit Baltimore president and chief executive Tom Noonan. "People are going back to the basics and embracing the simpler things in life that make them smile and laugh -- spending quality time with family and friends and traveling," Noonan told the Sun. 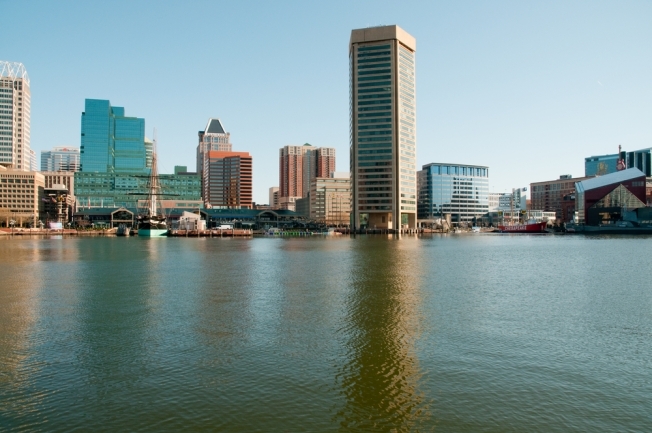 "Visit Baltimore is capitalizing on the national mood and trend with a comprehensive, citywide program that promotes those places and things in Baltimore that are certain to make visitors happy." In coming weeks, Marylanders will be hearing about "happy" seats at Oriole Park where prizes will be hidden, "happy" tables at restaurants, and "happy" happy hours at bars.That’s a lot of happy. The campaign also includes the website BmoreHappy.com, which will provide information about "happy stay" packages at hotels and an interactive "Bmore Happy Sweet-stakes" game that people can play to win prizes, including baseball tickets, art work, and trips to Florida and the Caribbean. Florida and the Caribbean? Doesn’t that suggest the best way to make people happy in Baltimore is with a ticket out of town?